Eleven days after the launch of the petition, we have surpassed the milestone of 5000 signatures, the current total is 5161. People from all of Europe have continued to show their support, with Hungarian novelists Péter Esterházy and György Konrád among those who have signed in the past few days. We also received signatures from as far afield as the Netherlands Antilles, Canada, India, Michigan, Japan, the Shetland islands and Melbourne. 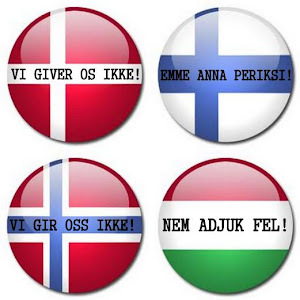 In their comments people mention the importance of Hungarian, Finnish, Danish or Norwegian to them personally, for European unity or for economic and cultural relations between the Netherlands and the countries concerned. Here are some of those comments. Ms. Helena Gronroos, Zoetermeer, The Netherlands.